The SCOTT Genius eRide 920 takes everything you love from the Genius, but ads a bit of kick. With the Shimano STEPS system, modern geometry, FOX suspension and our TwinLoc Suspension System- explore the mountains like you never have before. Getting where you need to go just got a little bit easier. Headed up a mountain or down to the local store, Scott's E-bikes give you that extra boost. Scott’s E-Trail bikes are here to quench your singletrack thirst. They can tackle the steepest of climbs and the most demanding of descents. Scott's integrated chain guide was developed in collaboration with the SCOTT SRAM MTB Racing Team. The idea behind was to create a reliable component that helps to avoid dropping chains but that was light, versatile and integrated in the design of the frame. The new Spark chain guide weighs just 23 grams and is easy to assemble thanks to the smart assembly system and can accommodate chain rings from 30 to 36 teeth. The Genius has always been a bike designed to go up as well as it went down, and vice a versa. For 2018, Scott wanted to re-emphasize this point. They designed the Genius specifically in search of balance. Compared to the previous iteration, this one is slacker, has longer reach, shorter chainstays and a steeper seat angle. 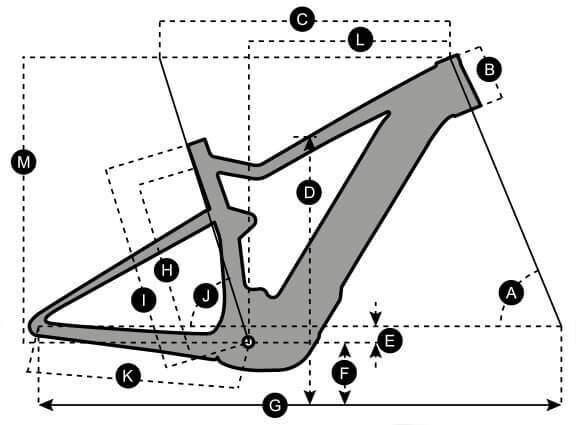 They really wanted geometry figures that would balance out the long front end for more stable descending. What they've ended up with is a bike that climbs like a bat out of hell and gets you down the mountain faster than you can say "dropping!" Scott's suspension kinematic brings perfect balance and control to the platform. Using their Virtual Four Link design, they have honed their suspension feel, pedaling and braking response to work with maximum efficiency and in harmony with their TwinLoc Suspension System. Scott's kinematic suspension curve gives supple small bump sensitivity and therefore exceptional traction characteristics, perfect support in the mid-stroke and a controlled deep stroke for predictable and comfortable bottom outs. Specific pivot placements ensures efficient pedaling that drives the bike forwards like a startled greyhound and neutral braking that strikes a perfect balance between rider comfort and control, chassis stability and rear wheel traction. From the XC racer, to the downhill enthusiast, the kinematic brings improvements and advantages in all areas and gives a solid fundamental basis for a bike for all riders and all conditions. With Scott's mountain bikes, they try to achieve ultimate versatility. These specific models can switch from 27.5" to 29" wheels with nothing more than the flip of a chip. No need to change the fork, all you need to do is flip a shock mount chip, change your wheels and off you go. The flip chip allows us to maintain a similar BB height when switching from one wheel size to the other which is key to keeping handling similar for both wheel sizes. With 27.5" wheels, you can run either 2.5", 2.6" or 2.8" tires. For the 29er, anywhere from 2.4"-2.6" is good to go. Scott has adopted the new Metric shock sizing standards with a Trunnion mount. Since the shock body now extends between the two lower mounting bolts, their suspension partners have more design space. This means the shock has more stroke for the same eye to eye length. Stroke on the 165mm eye to eye shock has increased from 38mm to 40/45mm.The Trunnion standard also offers structural gains. The shorter shock enables them to build a very compact frame and shock package, which integrates tightly to the seat tube. They managed to have a very tiny yet stiff linkage-lighter than ever. Thanks to the Trunnion mount construction, stand over height on the new Spark is very low. They are still able to realize a super compact full suspension frame and provide the ability to mount both a small and big water bottle. By turning the Trunnion shock upside-down, Scott can fully integrate it into the frame which results in several benefits. Since the Trunnion mount is the same width as the down tube and mainpivot, they can have a very clean frame design in this critical area. The lack of tight transitions and small details allows for an efficient, continuous carbon structure. Carbon material added to reinforce the shock mount also stiffens the connection between the down tube, main pivot and bottom bracket, a key stiffness path. The flipped shock also lowers the frame’s center of gravity helping to give a more planted feel when riding. Unsprung mass is reduced since it is the lighter part of the shock, connected to the linkage, not the heavier body which must move during an impact – the suspension system can react faster. Thier TwinLoc remote cable can be routed cleanly into the down tube. With TwinLoc, a rider can effectively control the complete frame, fork, and shock as a system. Why does this matter? A bike with 150mm of suspension travel, correctly set up, has more sag than a bike with 130mm. It's that extra travel that makes it more fun to ride and more capable on the descents, but the greater sag has an oversized effect on the bike's geometry and climbing performance. That's where TwinLoc matters. TwinLoc helps manage the sag effect in several ways. Whereas most systems only increase low-speed compression in an effort to gain pedaling efficiency, TwinLoc allows us to not only change compression damping, but also to change the spring curve, dynamically altering the geometry of the bike. In Trail mode, the shock is not only firmer, but it has dynamically less travel. The bike sits higher, maintains a steep seat angle for those climbs, and becomes more agile. Scott also offers a third, full lockout mode for going up in the most efficient manner possible. These unique settings optimize climbing geometry, even on longer travel bikes. They can eliminate the "long travel effect" that can rob your pedaling efficiency, but are not robbing you of the full-fun, 150mm travel when you point it downhill. From a race setting, to a lunch ride, to an after work trail shred, being able to switch from mode to mode depending on a trails profile at the push of a lever is paramount to riding faster and having a damned good time. Classic E-Bike systems use a speed sensor consisting of a magnet fixed onto a spoke of the rear wheel and the sensor itself normally located on the left chainstay. This sensor gives information to the drive unit regarding the speed which is crucial for assist management. That's why Scott developed a patented magnet mount to improve the system's integration and reliability. The magnet has been integrated into the lock ring of the Shimano rotor and the sensor is fixed in the left dropout. As a result the sensor and the magnet, compared with more traditional positioning, are now more integrated and protected from impact and dirt- both normal consequences of off road riding. Integration is a key factor on SCOTT eRIDE bikes. Scott doesn’t build simple bikes with motors on top.  They have a dedicated team of engineers and designers specialized in e-bikes for finding the most advanced designs in terms of drive unit integration. Each bike is the result of months of research and testing to develop the best geometry with regards to the Drive Unit and customer needs.Therefore, SCOTT's engineering team has developed unique integrated solutions to improve the design of the bike but as well as its efficiency. Regardless of the drive system mounted on the bike, the integrated design improves the balance of the bike and its durability, this also allows for the option of a bottle cage mount. A bike deserves better than to lie on the ground when you are checking the lines of the trail or when you are taking a break. This is why Scott has integrated a kickstand mount on the chainstay. To provide a perfect integration and an optimal stability for all types of terrain, the kickstand is directly fixed into the frame. To meet MTB specific needs, the E-8000 series was designed with all day performance in mind. The capacity of the Ion-Lithium battery has been increased to 500WH and can now be recharged in only 5 hours. The new design features a lower profile specifically for mountain bikes which improves both impact and vibration resistance. The Shimano color display comes in a compact size and is nicely integrated on the handlebar. While the display features full connectivity with Shimano Di2 components it also allows for individual settings for the information shown. The switch has been redesigned specifically for mountain bikes. Thanks to the ergonomic design improvements, the switch is now better integrated and offers a similar feel to a gear shifter. The E-8000 series drive unit has been specifically redesigned for mountain biking needs. The compact design of the drive unit allows for shorter chain stays and more tire clearance. These features, together with the light weight of the battery pack (below 3.2kg) and a new stiff and lightweight BB axle with Hollowtech-II technology (Q-factor 177mm), improve handling and ride feel substantially. Click the button below to add the Scott Electric: Genius eRide 920 - 2019 to your wish list.